Today’s video takes a look at more new RaceRoom content that’s coming with the next update. You’ve probably heard that Group C cars are coming to RaceRoom, and I’ve been given the opportunity to give these fantastic cars a preview for you guys. 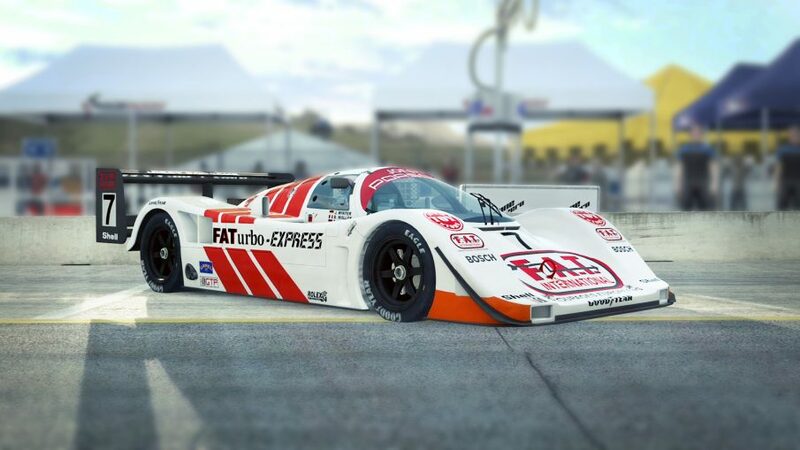 The cars in question are the Joest Porsche 962 and the Nissan R90CK. The are fantastic cars, and I can see the RaceRoom Group C category becoming very popular. They tick all of the boxes. They’re fast, fun, drive well and, importantly they represent one of Motorsport’s real high points – which is why it’s fantastic that the Nissan R90CK and the Joest Porsch 962 are coming to RaceRoom. Thanks to the diversity of content in the RaceRoom Racing Experience there’s already a great selection of cars that competed alongside these prototypes in the lower classes. The most interesting of these are the R3E IMSA GTO cars, which while interesting cars in their own right, help make for some really mixed, exciting multiclass racing.In my opinion, the RaceRoom Group C content is a very worthy addition to sim racing.